When you partner with Habitat for Humanity, you're able to connect with people that share your values. Very few charities have the global recognition and local goodwill associated with Habitat. Habitat sponsors and partners are able to reach thousands of volunteers, tradespeople, event participants, community leaders, and other businesses. The majority of people that are involved with Habitat want to make our community a better place, and they have the funds, the time and the desire to make things happen. If these sound like the kind of people your business would like to reach, connect with us about becoming a sponsor or partner. 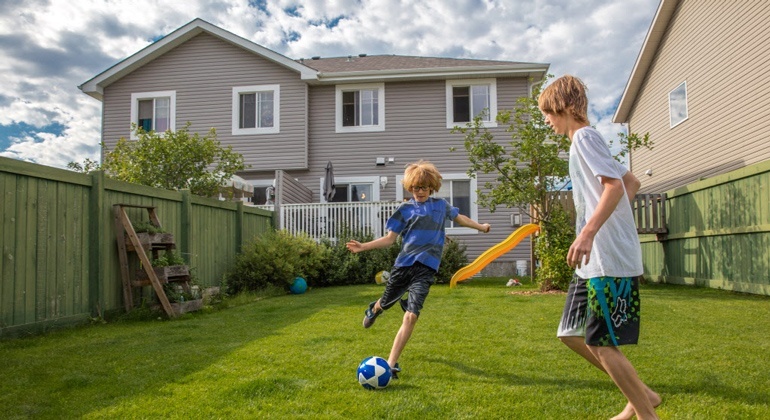 Why partner with Habitat Southern Alberta? Because you want to build your reputation as a community-minded business. The individuals and organizations that are attracted to Habitat value businesses that are willing to make a difference in our community and our world. Partnership agreements outline where and how your organization will be featured, but they can’t begin to tally the value of all the unsolicited press coverage of projects, events and networking opportunities that come from being a Habitat partner. We are looking for all kinds of businesses to partner with us, and we are willing to work with you to deliver the kind of ROI you need to make it worthwhile. Just look at some of the organizations that have chosen to partner with Habitat Southern Alberta. Interested in becoming a sponsor or partner? Get in touch!